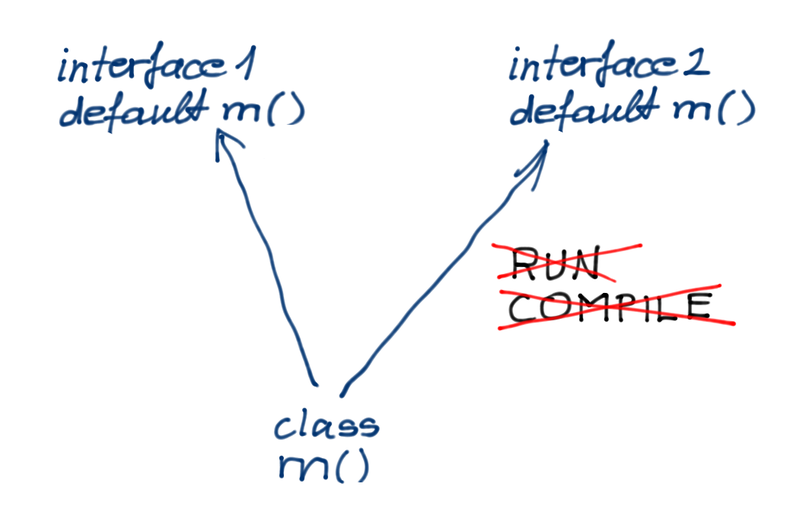 modify the interface having the abstract method m()and create a default implementation. To demonstrate the above I created a test directory for the class C.java and three subdirectories for the interfaces in files I1.java and I2.java. The root directory of the test contains the source code for the class C in file C.java. The directory base contains the interface version that is good for execution and compilation. 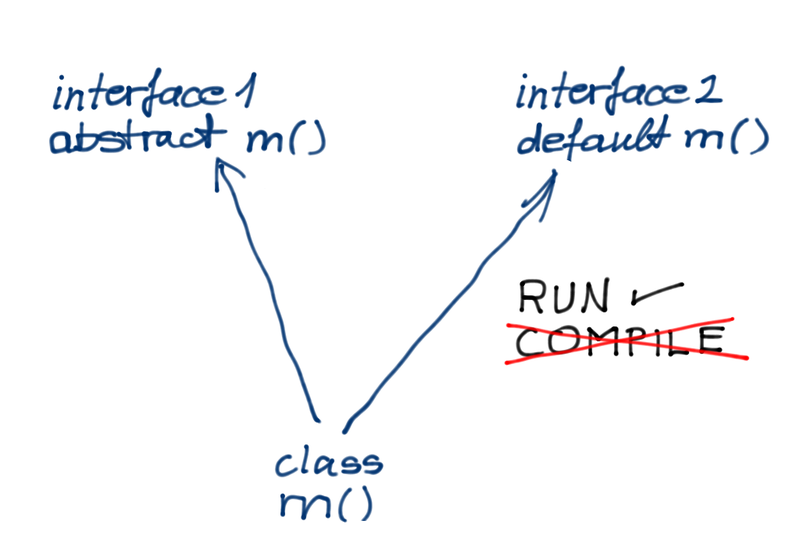 I1contains the method m() with default implementation. The interface I2 does not contain any method for now.